The year’s UFC sports betting action continues this weekend with a thrilling fight card. 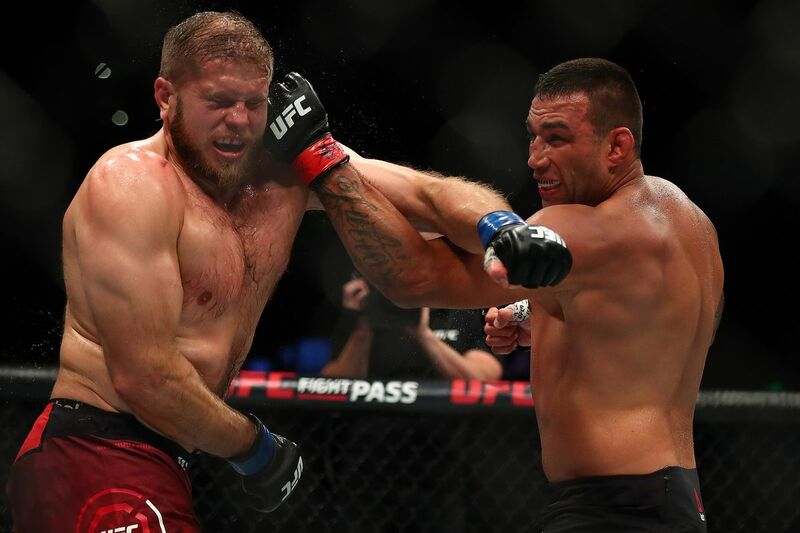 UFC Night 127: Werdum vs. Volkov will be held this Saturday, bringing some clarity to the UFC’s heavyweight division. Let’s mulch over some pertinent information before going over the UFC Fight Night 127 betting odds. The night will be headlined by a heavyweight bout between former UFC Heavyweight Champion Fabricio Werdum and former Bellator Heavyweight Champion Alexander Volkov. Werdum enters this matchup with a 23-7 MMA record. Furthermore, the Brazilian comes in riding a 2-fight win streak. Moreover, Werdum has fought 4-times since losing his title to Stipe Miocic. During that span, the former champ has posted a 3-1 record, making a compelling case for a title shot. Werdum last fought at UFC Fight Night 121 where he defeated Marcin Tybura via unanimous decision. Needless to say, Werdum is looking for a solid finish this weekend. Furthermore, the Brazilian is hoping to make a compelling case for a heavyweight title shot. Granted, Werdum did lose the belt to the current champion. Nevertheless, currently ranked as the No. 3 best heavyweight in the world, the Brazilian could be getting a title shot sometime soon. Former Bellator Champion Volkov steps in with an impressive 29-6 MMA record. The Russian made his UFC debut back at UFC Fight Night 99. Without delay, Volkov faced Timothy Johnson and won via split decision. Afterwards, Volkov faced Roy Nelson and Stefan Struve. 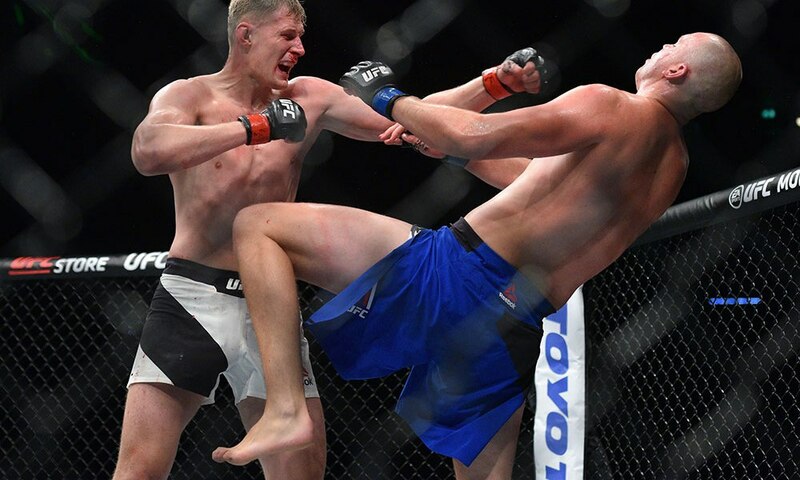 Volkov managed to beat Nelson via unanimous decision and Struve with a TKO. At the present moment, Volkov is ranked No. 8 in the UFC’s rankings. While he might not get a title shot with a win, a finish over Werdum would certainly put him in the conversation. But since Werdum has only been finished twice, doing so will be a tall order. Undoubtedly, this is one heavyweight matchup worth tuning in for. Another fight worth tuning in for is the night’s co-headlining bout. In a UFC Light Heavyweight match, Jimi Manuwa looks to bounce back from his humbling loss to Volkan Oezdemir. Oezdemir, who ended up losing his title bout versus Daniel Cormier, finished Manuwa with a vicious knockout in under a minute. Nevertheless, Manuwa is still ranked 4th overall in the Light Heavyweight rankings. With a dominant performance over Jan Blachowicz, Manuwa could propel himself to another title shot. Granted, beating Blachowicz is no easy challenge. The Polish fighter comes in with a 21-7 MMA record and has earned the moniker of UFC veteran. What’s more, Blachowicz comes into this weekend’s event riding a 2-fight win streak. No doubt this is a worthy warm up for the night’s headlining bout.